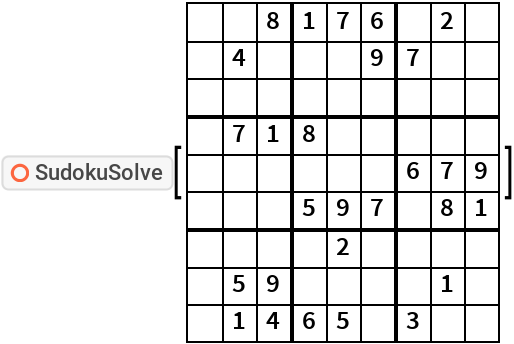 treats a 9 x 9 matrix of data as a partially solved Sudoku puzzle and replaces all elements which are not integers from 1 to 9 with the correct elements to fully solve the puzzle. 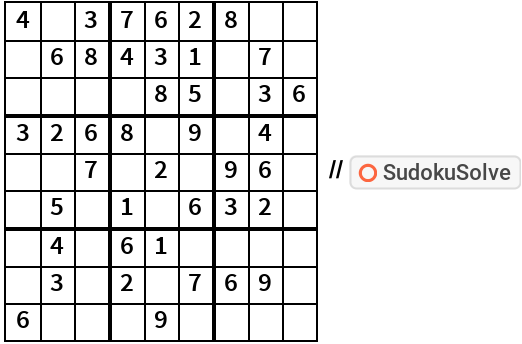 Sudoku is a popular number puzzle. 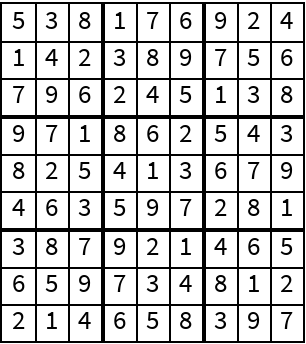 Its rules are easily stated: A 9×9 grid is presented, containing some pre-defined numbers. 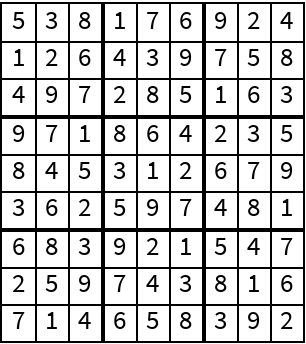 The player’s task is to fill in the grid so that every row, every column, and the nine 3x3 sub-grids contains the digits 1 through 9. The option ShowSteps shows when it was necessary to guess values rather than use pure logic.